Sac State senior guard Izayah Mauriohooho-Le'afa shoots in the first half of the Hornets 69-48 win against University of Idaho on Jan. 24 at the Nest. The senior currently leads the team in 3-point shot attempts and makes. 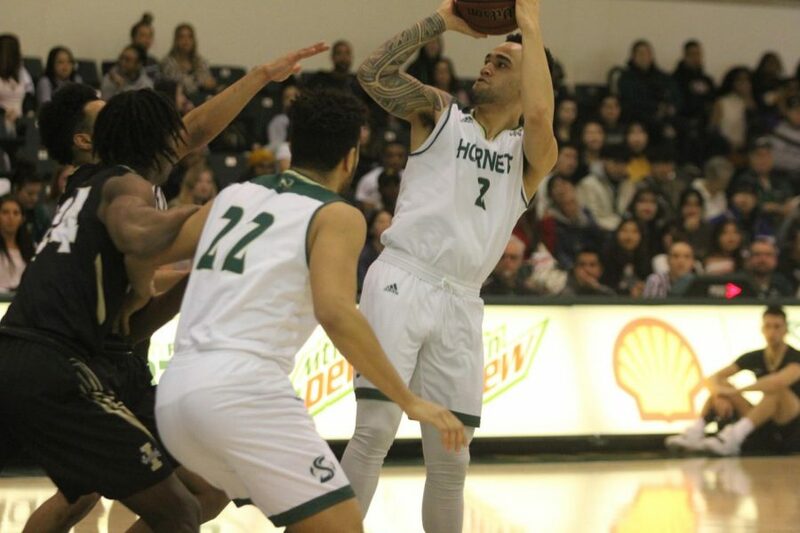 The Sacramento State men’s basketball team lost two of its last three games on the road in Big Sky Conference play after being outrebounded and now has a 9-11 overall record, including 3-8 in conference. The Hornets won their first game of the three game road trip beating Idaho State 74-58 on Jan. 31. 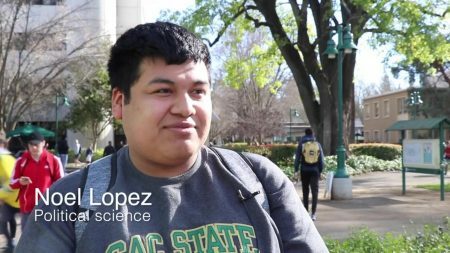 Sac State lost to Idaho State in the final seconds when they met for the first time earlier this season. This time the Hornets were in full control, as they outrebounded Idaho State 37-23 and at one point held a 21-point lead. Defense also played a big part to the Sac State victory holding its opponent to 40 percent shooting from the field. Senior point guard Marcus Graves, currently fourth in the conference with 16 points per game and first with 5.4 assists per game, had a game-high 18 points and six assists against the Bengals. Junior guard Izayah Mauriohooho-Le’afa had 16 points off the bench, shooting 6-10 from the field. Mauriohooho-Le’afa leads the Hornets in both made three-pointers (33) and attempts (57). In the second road game on Feb. 2, Sac State lost to Weber State 75-65. The Hornets’ largest deficit of the game was 21 points, as they were outrebounded by Weber State and went 2-for-12 from the 3-point line. Junior guard Jerrick Harding from Weber State is second in the Big Sky in scoring, averaging 21.6 a game. He scored 25 points while shooting 50 percent from the field and grabbed seven rebounds against the Hornets. Graves led the Hornets with 14 points and had 4 assists with 14 and 4 respectively. Sophomore forwards Ethan Esposito and Bryce Fowler both had 12 points for Sac State. In the final road game on Saturday, the Hornets lost to Northern Colorado 65-59. The Hornets held Northern Colorado to 40 percent shooting and forced 12 turnovers in the game, but Northern Colorado shot 10 more free throws and 20 more 3-pointers than Sac State. Senior guard Jordan Davis from Northern Colorado scored 24 points and went 10-13 from the field. Sacramento State’s next game will be at home against Portland State Feb.11.